The colorful and flowery range of Curtains is available at the dwelling of Seven Seas Exporters. 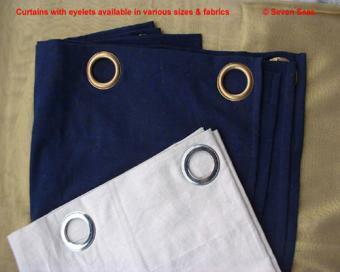 Our range of curtains comprise of silk curtains, cotton curtains, designer curtains etc. We have a vast variety of all types of curtains so one can pick and choose as per their wish and desires. Best of all, all the proposals of clients are welcomed and can be handled with special care. In addition, we are the pioneer curtains manufacturers, exporters in India.